Where to Promote Your Blog – Right Here! Are you confused on where to promote your blog? 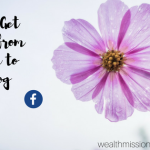 There are many ways to do that and one is to promote your blog right here at Wealth Mission Possible! That’s right. I wanted to give everyone a place to share their websites and social media platforms while interacting with others. So this blog post is dedicated to shameless self-promotion for YOU! It’s a great chance to publicize your blog! This is a great way for you to connect with others you might not otherwise find on the Internet. Whether you are just starting out with a blog or have been around for a while, it’s important that you promote your blog. You can have the best content in the world but if no one knows about it, then it’s a waste of time and energy. That’s why I am offering this chance for you to promote your blog for free. Social media provides amazing opportunities to promote your blog and content. Another powerful method is commenting, which not only provides awareness but an automatic link back to your blog. My website features CommentLuv, which gives you an extra boost and automatic link to the most recent post on your blog. Fill in the comment form. CommentLuv will display a link to your last blog post and Twitter. Write a brief description about YOU in the comment area. Don’t worry, just one or two sentences will be fine. Other social networks not listed here. Here’s the fun part! 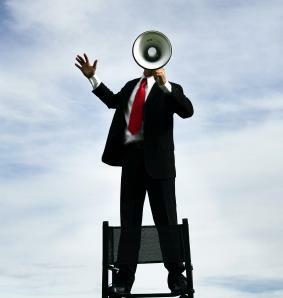 After you promote your blog here, choose 2 or more commenters to follow via their social networks. You can also comment on their blogs. Let’s work together to drive traffic and make connections! I am looking forward to connecting with you via this promote your blog post. This is not a one day thing either. I will keep this open for the next few weeks. 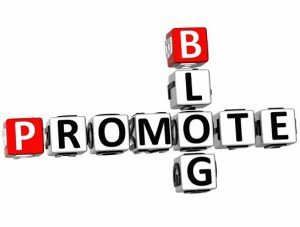 Hope you enjoyed this post about where to promote your blog! Now go promote yourself. Hi Lisa,I love what you are doing here. I try to \\\”Spread Financial Confidence\\\” by sharing always-relavent-but-not-always-widely-known articles on eye-opening financial concepts and ways to teach kids about money through my experience with my kids, as well as sharing personal development articles from my favorite gurus. Thanks David! I’ve really enjoyed reading your informative articles about financial concepts. Definitely eye-opening and recommended! 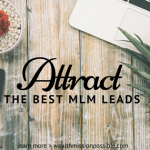 Lisa thank you for allowing me to promote using your blog, we do have to work together to drive traffic and make connections. Thanks again. This is a wonderful idea! Thanks for allowing me to do a little shameless promotion. 🙂 I think in time this will allow me and your followers to build up own little tribe. I look forward to connecting with others who comment here, it’s a great way to get exposure to other bloggers and I am happy to share their content. 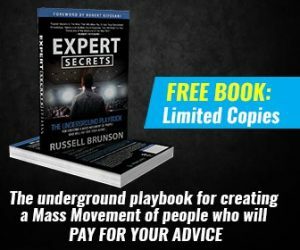 (WorkWithRichardP.com ) that provides what I hope is useful information for anyone looking to learn how to market and generate leads online. Thanks again Lisa, I look forward to meeting and sharing with your group! Hey Richard! Thanks for stopping by and sharing your information! See you on Twitter! A simple and perfect strategy to bring lots of traffic. I think if you are able to be first to comment on sites like basicblogtips, weblogbetter or similar sites, then you might see some high traffic spike. Hi Tim! So glad you stopped by to connect! Your FB page is awesome – recommended for everyone to like! Have an awesome day. Your website is very informative. I look forward to your future posts and information you have to share. It is hard finding a true leader in this industry. Your site proves I have found one. Thank you again. Thanks so much for giving us a chance to promote our blog/site. My blog is all about telecommuting or as it’s more commonly known as work-from-home jobs. I post the latest WFH job leads, freelance projects, and share easy start-up home-based or online business ideas. Looking forward to new connections. Thanks for the opportunity to promote my blog. I run a blog about building an effective Internet presence. Basically I share tips on content writing, SEO and social media. Thanks Lisa for the opportunity! Hi Dragan! So happy to connect! Just visited your blog and love it! Great info. Hope to see you here again soon. Hi, I’m Shane. I write code. I live in Belfast. I’ve been doing it for about 10 years. It makes me happy. And thats what my site/blog is about. Helping people who have never programmed to code. This is such a lovely way to pay it forward. I guess it always works well when we give back to others in more ways than one – isn’t it? aha-now.com – It’s a SELFhelp blogzine for self-development and enrichment in life and family (SELF). 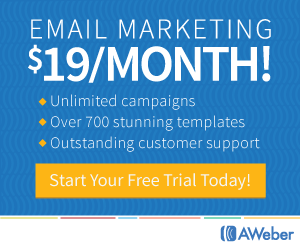 freelancewriterscafe.com – A blog for freelance writers. Hello Harleena! So glad you stopped by! Love connecting with other bloggers and writers. Thanks so much! I run a blog for Signature Filing for business owners and those who are thinking about opening their own business. It is a great resource for business owners and contains articles with smart advice for business owners, interviews with entrepreneurs, and tips for those who want to start their own business. Hi, I’m quite new to blogging and looking for ways to promote my new blog. Thankyou for the opportunity to shamelessly promote my blog Lisa. My blog explains everyday topics on the basis of psychology. I’m still learning and hopefully will build a decent following over time. What a great idea, and thanks for the opportunity. I am a full-time networker, author, engineer, husband, affiliate marketer, etc. I train people on my blog to Own Their Life again – to have More Money, More Time and Better Health. Hi Jon! You are welcome – so glad to make your acquaintance. Love that – Own Their Life again. Look forward to connecting on social networks with you. What fun! I co-blog with my writing partner Nik about books and writing and random thoughts. Find us at http://www.literarykiss.com or on Pinterest & Twitter as BStoneBlog. I’m loving the ‘luvvin’ – what an awesome and cool idea! So glad you stopped by Robin! Just followed you on Twitter. Everyone, visit Robin’s blog, his content is AWESOME! At MarketMeNot.com we review TV Commercials. Check it out, and let us know what you think 🙂 Thanks! Lisa, New around here, but I liked the idea. Connections are some of the best ways to get ahead in life and business. My blog is all about motivation, success, and freedom. It isn’t cushy or cuddly, but it is honest. Thanks for the opportunity! I’ve always loved learning and becoming the expert at something and then teaching others. I did that as an engineer, as a consultant to huge companies and as a Mom. Now, I have the chance to do that as an online instructor as an an online marketer. This is what these programs are — learn to become really good at some aspect of internet marketing and then teaching others how to become really good at some aspect of internet marketing. I love learning from them myself and offering them to others is a perfect match for me. If you want to learn more, contact me or visit my site. I’m not out for sales, I’m looking for readers who may be in the same or similar boat as my little family. I’m a 26 yr old raising a 15 yr old(my sister), due to some unfortunate events, and have no parenting exp for trouble teens(or any other kid). she aslo co-blogs from her perspective. Finding commenting readers would be great, so thank you for this opportunity. Hello all and especially Lisa for her more than generous spirit – which will return to her 100 fold!My site is about all things Entrepeneur. Thanks for this! My blog is about finding, pursuing, and living out your dreams. I hope to inspire people to take control of their destiny and live out their dreams! I´m a wife, mom, daughter, sister, friend and love all things fab, food and family. And I love to share my passion for make up, skincare, food and organizing home life with my readers! Just out of interest is a varied blog; featuring thoughts upon current world topics. Some include: World peace, Social media & Culture, & changes in the way we communicate. Great site, and thanks for letting us promote our blogs.! Mine is Shopping Signals. It’s all about content marketing for sites that sell stuff. The focus is on providing useful and actionable information that helps Internet merchants solve their unique online marketing challenges. Thanks so much! come and read all about bed bugs! Thanks for this opportunity and letting me know about this Lisa. at this time I only use my twitter account to share Design , Web and Technology tips so everyone is welcome in my page. I’m also a professional web designer so I may could help you with you blog stuff too. Hi, this is my blog about postcards, snail mail and little bit about traveling. I’m posting postcards/stamps I bought or received, some stories from my life, trying to also get some people to participate 🙂 I asked to send me a picture of their mail box on my email but still not enough traffic for it to be effective. 🙂 I really would love when this blog would grow. I love writing posts and show my postcard collection. Thanks so much for sharing. I just recently started my personal blog, I appreciate you making this available. I am a 22 year veteran of the United States Air Force. Im recently new to online marketing but enjoying every minute of the journey! thanks for your project on promoting blog. 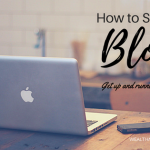 My intention is to have a successful blog that can promote my interest in the health and wellness sector as well as contributing to others in the process. Specifically, I am interested in yoga, meditation, leading a healthy life and self development (such as using the power of intuition, affirmation). Finally, having a rewarding and fulfilling life where I can lead a live according to my wishes is very important :). Thanks for the opportunity to promote my blog! Most Marketers won’t offer free help the way you have. May God bless you 10 fold for willingness to help others succeed. Thanks so much for the opportunity, Lisa! I help women bloggers stay in their genius zone by showing them how to take their blog from dull to sparkle so readers can hear their message! New to blogging and came across your page. I love what you are doing here in making it easier for everyone to gain more traffic and thus a more satisfying page! Check me out and I really appreciate this opportunity to write on here. Lisa, thanks for allowing bloggers to promote on your your page. What a gracious & kind thing. I have a lookbook, fashion and beauty reviews, dieting ups and downs. Sharing is most definitely caring! Thanks for doing what you do. Imagine if I read the instructions!My blog is amotherlife.com. I write about being an Aussie mum in the warp of living in NYC and ALL that goes with that! Hi everyone! Our blog is geared towards an entertaining viewpoint ofour lives and how we are applying different strategies to our first attempt at writing a novel. Thanks for checking it out! Here is our latest post, but the one before it has more info on what we’ve started writing. Thanks Lisa for allowing us a place to show off our blogs. I’ve had a blog for awhile but just recently re-branded it and it is now primarily geared towards up-to-date technology news (Tek Dogg). It also features business, social media, branding and design news and info. Hey Lisa. It”s great that you are giving everyone an opportunity to explain who they are and what they are about. Really Appreciate it- thanks!. Anyway, I aim to provide lots of value with my Blog (WebTrafficLounge.com) that covers MMO, Affiliate Marketing and Blogging Strategies. 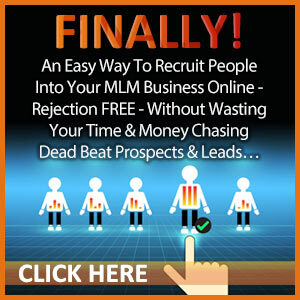 I’m all about giving away as much free info on recruiting and generating web traffic as possible. I’m big into myths, legends, superstitions, odd facts and pretty much any kind of unusual topic. My blog is a great outlet for me to share the crazy info I love to absorb. I love everyone and like to get feedback for discussion, so feel free to drop by and read something bizarre. Hi Lisa,Thanks for the opportunity to promote my blog called Learn from yesterday, live for today… , about my experiences in cooking, travel, and more over the years. It was started earlier this year, so this will really help. Facebook is facebook.com/learnfromyesterdaywithjodee For Pinterest and Google+ just go to Jodee Weiland. Thanks again! Hi Lisa and all the other readers out there! I love the idea of this and think that helping each other out is a great way to boost traffic! My blog…The Diary of a Traveling Welder’s Wife…is basically an inspirational blog that I have started to help not only my readers…but to build confidence in myself as well. I love writing and adore that there are people out there that I can encourage through my words! So grateful for Lisa and Wealth Mission Possible. I just started a blog about 3 months ago so the timing is perfect. I am serious about blogging and will be happy to participate in getting all our blogs an online presence.